More so than any other time in history, the digital revolution is changing the global economy through how it has enabled micro entrepreneurship around the world. This phenomenon is particularly prominent in Asia, where advancements in technology have dissolved many of the barriers that enterprising individuals used to face. In this digital age, being an entrepreneur is no longer a sacrificial decision made by the passionate few, as it opens doors to a world of opportunities and a huge market for any business. In addition, the rising affluence in Asia has also resulted in greater freedom for many, who would otherwise be traditionally tied down by their filial or familial obligations. Here’s a recap of the landscape of entrepreneurship in Asia 2015. Silicon Valley may have started off as the “original” entrepreneurial ecosystem, but Asia is catching up, with the highest number of start-ups originating from countries like China, India and Singapore – a phenomenon that would not have been made possible without the digital revolution sweeping the world. Complementing the digital revolution is the increased mobility made possible through advancements in technology. Some fifty years ago, Boeing launched its first commercial jet liner, which forever changed intercontinental travel to what we have today. Gradually, multi-national student exchange programs, an influx of enterprising foreigners and exposure to foreign markets in an increasingly globalised economy has also brought over much of the entrepreneurial spirit previously missing from the relatively conservative Asian culture, where most were risk adverse and more inclined to “traditional” job routes. Increasingly, even foreign entrepreneurs prefer to set up shop in Asia, where the market is more dynamic, competition for certain sectors less intense; and overall costs are more manageable. Emerging economic centres in Asia such as Shenzhen, Hong Kong and Singapore have already launched their own Silicon Valleys, leveraging on their unique understanding of the rapidly growing Asian markets to gain an advantage over their western counterparts. Indeed, many multi-national corporations who have attempted to break into the Asian markets without first establishing office there have discovered that they lack the cultural understanding that is part and parcel of doing business in Asia. Take for example, Google’s exit from China or the unexpected backlash against Uber in India and Malaysia. These companies exemplify the importance of getting to know the cultural norms that are an intrinsic component of the local market, before launching your business. Singapore – the new entrepreneur’s destination of choice? Singapore in particular, seems to be at the epicentre of it all. With first-class infrastructure, government subsidies, grants and tax concessions, government policy is encouraging more and more to encourage entrepreneurship. More importantly, its effectively bilingual and highly educated workforce are extremely appealing to foreign entrepreneurs and investors, who find that they can communicate easily with local employees in English; and rely on their bilingualism to reach out to the Mandarin or Malay speaking countries nearby, such as China, Hong Kong, Taiwan, Malaysia and Indonesia. For any entrepreneur, Singapore stands out simply because it is extremely easy to do business there – after all, the tiny nation-state successfully bagged the World Bank’s top no. 1 rank for the Ease of Doing Business for the tenth consecutive year. In addition, the huge number of tax incentives and concessions that businesses can enjoy help entrepreneurs save a huge amount of costs. For example, newly incorporated companies that meet the qualifying conditions can claim for full tax exemption on its first S$100,000 of chargeable income for each of its first three consecutive years of assessment. A further 50% exemption is given on the next S$200,000 of chargeable income for each of the first three consecutive years of assessment. On a personal note, Singapore also has a strong legal system, one of the most stable political environments and offers a high degree of safety for its inhabitants – an aspect unfortunately missing from most of its regional neighbours. This means that business owners can be assured that there is a lower likelihood of disruptions to business operations, akin to the Vietnam riots where scores of factories were ransacked or the Indonesia riots that persisted due to weak law enforcement. More tellingly, despite its relative high standards of living as compared to its regional peers, Singapore still remains the top choice for expatriates for the overall quality of life in Asia. Indeed, Singapore’s neutral position in the region means that businesses can rest assured and suffer minimal disruptions to its business operations in times of regional conflict. Even if the company’s subsidiaries in the region are subject to legal disputes, the Singapore International Arbitration Centre is one of the world’s most respected, experienced and diverse Courts of Arbitration in the world. More importantly, the key reasons why so many companies, whether start-up or multi-national corporations look towards Singapore, is the magic combination of its highly educated bilingual workforce and the impressive 74 Double Taxation Agreements (“DTAs”), 41 Investment Guarantee Agreements (“IGAs”) and 21 Free Trade Agreements (“FTAs”) / Economic Partnership Agreements (“EPAs”), which facilitates foreign investment and trade whilst relieving companies of the additional costs of double taxation. For example, a U.S. based company that wishes to expand its market reach to India or China would be required to pay tax on corporate profits in India or China, followed by a second tax imposed on the corporate profits paid back to the holding company based in the U.S. However, by incorporating a subsidiary based in Singapore that owns its operations in either country, Singapore’s existing DTAs would allow for deferred tax. Companies that wish to leverage off the benefits of Singapore’s DTAs, IGAs, FTAs and EPAs would do well by consulting Rikvin, a one-stop corporate solutions provider that prides itself on its knowledge and expertise on Singapore’s business friendly policies; and its use of innovative software that makes it the fastest incorporator of companies in Singapore. Certainly, it is not just entrepreneurs who are using Singapore as a springpad to launch their businesses into Asia – large multi-national corporations (“MNCs”) such as Apple, Google, Seagate, IBM and Hitachi have also poured in large investments and established offices into Singapore. 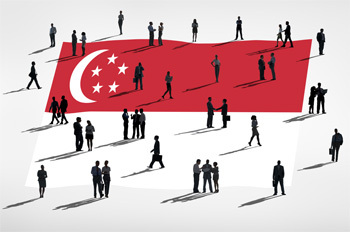 Through their presence and investments, MNCs have brought with them their wealth of knowledge, technical expertise and management skills to the nation-state, effectively contributing towards the nurturing of talent in the local workforce, which the Singapore government continues to encourage and incentivise. Complementing its trade friendly policies is the nation-state’s close proximity to the emerging economies in Asia. In 2014 alone, Singapore’s world-class Changi Airport managed an impressive 54.1 million passengers; and the nation-state is within six hours’ flight from half of the world’s population, a statistic that will further improve as technology enhances the speed and efficiency of travel. This ease of travel has facilitated and encouraged stronger cross-border trade; and many have found it ideal to base their regional headquarters in Singapore. Digital entrepreneurs on the other hand, are especially comforted by the fact that Singapore is ranked second globally for its intellectual property protection, as noted in the World Economic Forum’s Global Competitiveness Report 2014-2015. Moreover, Singapore offers high accessibility with its strong wireless infrastructure – a critical factor for many digital entrepreneurs whose accessibility to the internet is essentially a core requirement for them to run their businesses. In comparison to its peers, such as India, where monkeys and the haphazard existing infrastructure continue to impede the nation’s digitisation, Singapore has considerably leapt far ahead; which explains why many successful Indian entrepreneurs today were those who had built up their companies in Singapore, rather than their homeland. Indeed, it could be said that nowhere else in the world is the government as focused on driving business growth and competitiveness as fiercely as the Singapore government is – a strategy that has undoubtedly paid off, given how rapidly the small nation-state has transformed itself from a backward third-world country when it achieved independence only fifty years ago. If reaching out to the exciting Asian market is something you’re considering, start right by getting on board with one of the experts in the business. 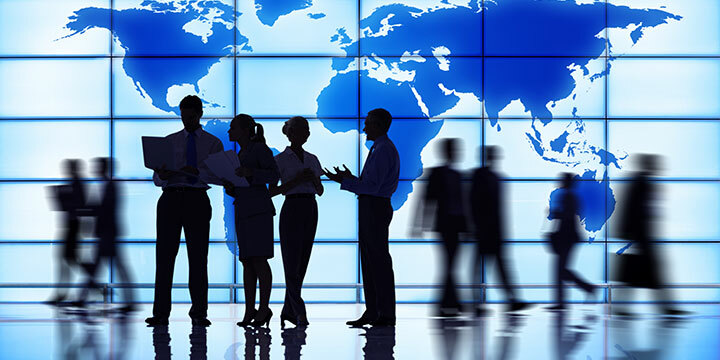 Regardless of the size of your company, getting a foothold into the lucrative Asian market should be a strategic move made with the help from reliable and experienced business advisors. 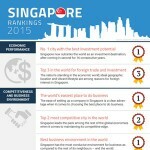 To learn more, view our infographic about Singapore Rankings 2015: Why invest in Singapore?. Singapore is known for its pro-business environment as well as ability to attract sizable foreign investments and business entrepreneurs. Its world-class reputation is what makes it a key regional and global hub for entrepreneurs. Here are some of the accolades Singapore received this 2015. Ready to setup your Singapore company?